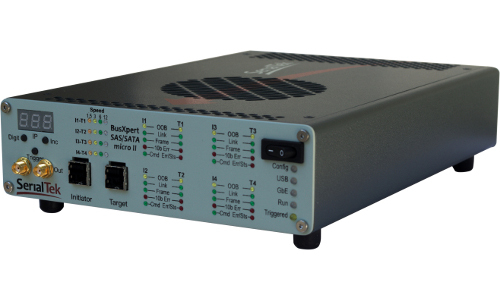 This 4 port, 12 Gb/s analyzer is also compatible with slower speeds and protocols. 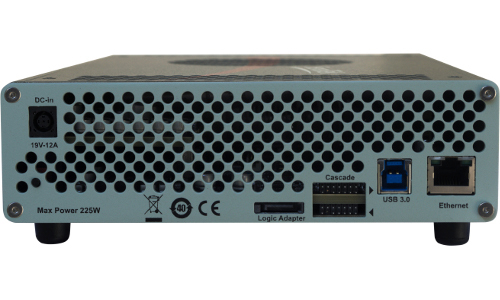 A 2 port model, licensed upgradable to 4 ports, is also available. SATA data rates of 1.5 Gb/s, 3.0 Gb/s, and 6 Gb/s are supported, as are SAS data rates of 3.0 Gb/s, 6.0 Gb/s, and 12.0 Gb/s. It is portable weighing 4.5 lbs or roughly the same as an average notebook computer; but it has the power and capabilities of solutions that are much, much larger. This makes it an ideal tool not only for lab environments but also for field and support engineers. 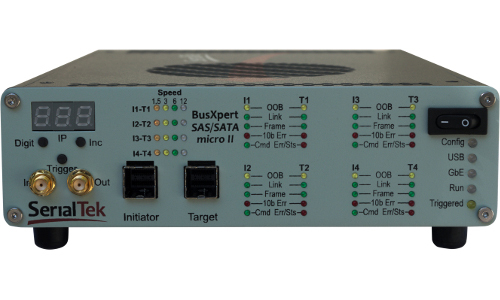 The analyzer employs next generation high-speed transceivers, providing for accurate and reliable first-time linkup. Two modes of linkup are supported. In addition, the analyzer supports optional user calibration controls to assist linkup under sub-optimal signal integrity conditions. The software provides for a new and powerful waveform “eye” display. This is a unique capability, typically found on oscilloscopes, that allows for digital signals to be easily observed in a graphic form. The feature permits users to take control over sample rates and display resolution. Eye diagrams are used as an aid in obtaining the optimal signal integrity by graphically showing the effects of varying calibration settings on the received serial data. They may be saved as either a graphical image or a file containing all the data and options needed to reconstruct the eye diagram. Now SAS and SATA engineers have not only the ability to observe the upper layer protocol transactions but also the lower physical layer information in a single compact, portable unit. 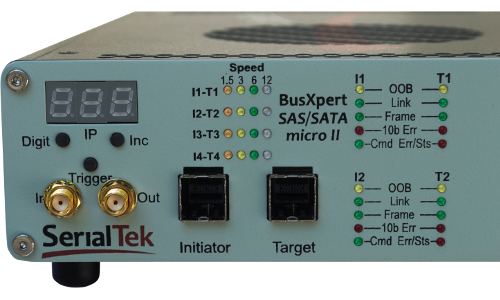 All BusXpert Micro Series analyzers also come with a 3 Yr Hardware warranty, free product support, and no software maintenance fees for the life of the analyzer.